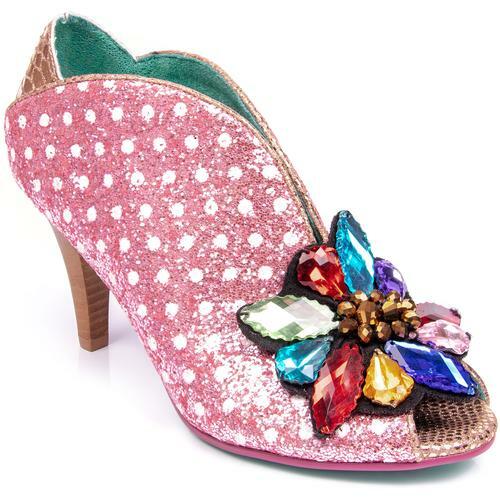 Irregular Choice's Lady Ban Joe is back and more glittery than ever with heels that even Cinderella herself would be jealous of! 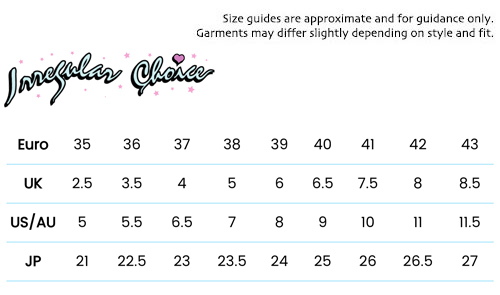 The upper is crafted in a stunning blue gradient sealed glitter that sparkles as you dance and walk and the toe has a big, beautiful double bow on the front for an extra fairytale princess touch. 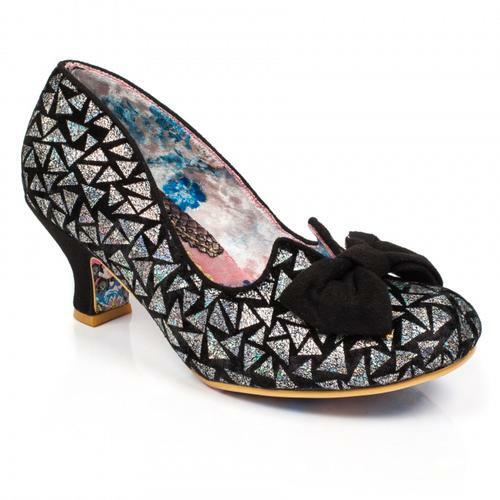 The blue mid-heel is perfect for dancing the night away and shimmers in the light too. 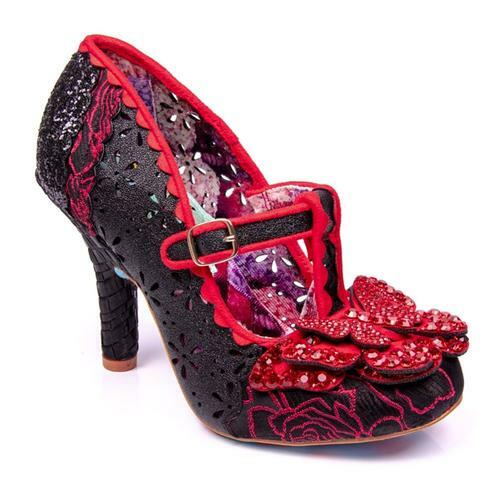 An extremely beautiful shoe, fit for a proper Lady. 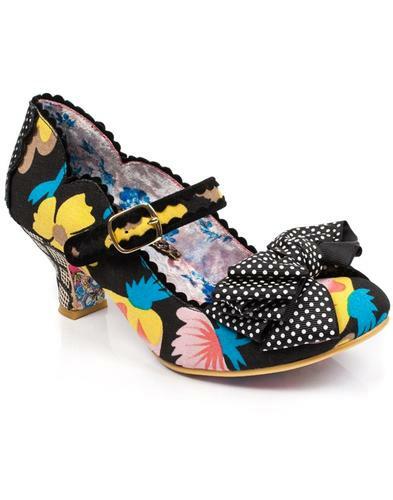 Lady Ban Joe glitter gradient heels in blue from Irregular Choice. Sparkling huge double bow on the toe. Blue sparkling heel and back.